I’m not a doctor, and I can’t prescribe or answer questions for you. I can’t tell you if this same product will help your skin. I’m simply sharing my experience with a product that helped me with my dermatitis! If you are struggling with skin issues, go see a dermatologist. Almost a year ago, I got terrible dermatitis. I struggled with it for months and months and I finally have it under control after finding a natural cure. The steroid cream I was prescribed? Didn’t do anything to help me. Essential oils? Made it worse. I’m so grateful I finally have my skin back to normal, and better yet that it only took me a month from when I first started using my miracle product! I do a lot of product testing for this blog, and I unfortunately come across products I would never recommend to anyone. After trying a skincare product that didn’t agree with my skin, I felt a burning sensation over my whole face. I immediately washed it off and splashed with cold water, but the next morning, I had a raised, angry looking rash on my eyelids, right under the brow. I also had a bunch of redness under my eyes. At first, I thought I thought it might just be a bit of a rash and it would go away quickly. I babied my skin for a few weeks and some days, my skin seemed like it did better than others. Usually, I’d wake up and have a good indication of how my skin was going to feel that day. Some mornings, the rashes would look red and angry, and they’d be slightly peeling and sloughing off. Other mornings, I could tell my skin was on the road to recovery. My eyelids wouldn’t be as red and they looked like they were healing. Because the dermatitis wasn’t as bad initially, I didn’t go to the dermatologist right away. I tried lots of different things to heal it up. I tried essential oils (really bad idea), I tried leaving it alone and putting nothing on it. I tried using very simple skincare. Nothing seemed to work well for me! Wearing makeup aggravated it, and even if I woke up having a good skin day, it would be puffy and swollen by the end of the day if I wore eyeshadow or anything under my eyes. Because I was changing up my skincare so often, my skin was breaking out terribly. If I used any kind of skincare mask, even a soothing one, it would quickly become very irritating to my skin. After dealing with this for about four months, we went to Disney World. If there is one thing to know about dermatitis, it’s that it doesn’t like sun. My skin was horribly inflamed the whole trip. My eyelids were super red and itchy. As soon as I got home from the trip, I scheduled an appointment with my dermatologist. My doctor prescribed me a steroid ointment called Fluocinonide. Per the directions, I applied it about twice a day for two weeks. 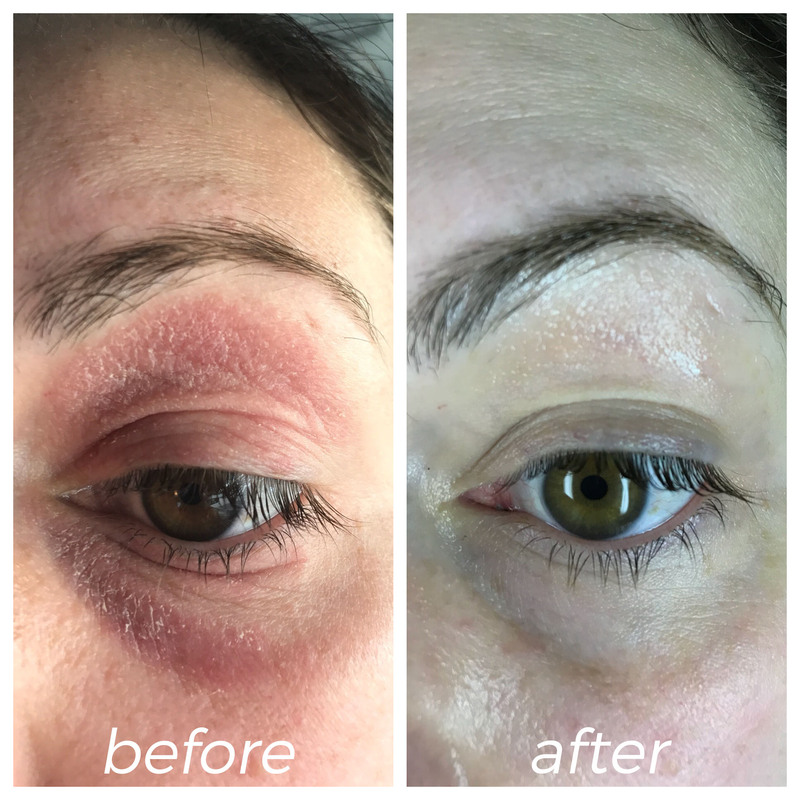 By the time I went in to my dermatologist for a prescription, my eyelids were oozing, peeling, and very crusty. 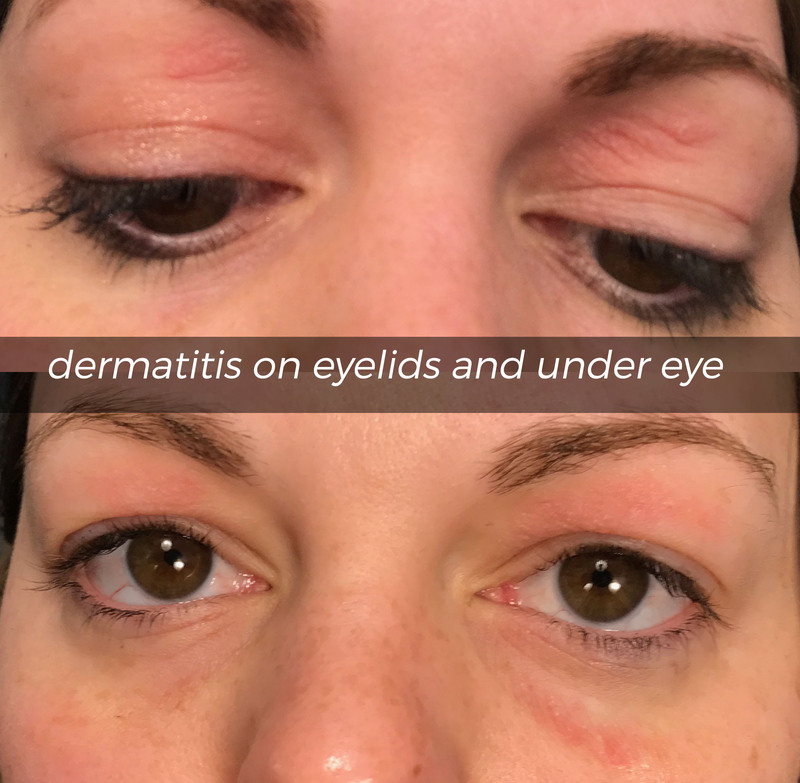 Under my eyes also looked terrible; dry, swollen, red, and puffy from inflammation. I was so relieved that this ointment seemed to help me, and that my skin improved so dramatically so quickly. Within one week, I was back to looking pretty close to normal. After having used the ointment for a week, I stopped using it so often. The directions indicated that I was supposed to apply it for two weeks and no longer. Steroid creams can cause negative reactions if used over a longer period of time. This is where I went wrong. I would apply it for a few days and my skin would improve, then I would stop applying it again. My skin became better/worse in a cycle over the span of weeks. I lost track of time and I had been using this steroid cream for a few months on and off. I didn’t think much of it at the time because I would use it maybe once or twice a week, but it was definitely not as directed by my dermatologist! This is where things took a weird turn. I noticed I was developing a rash on my lips. My skin was swollen in some places on and around my lips. I figured it was related in some way to this dermatitis rash on my eyes that I just couldn’t kick. For that reason, I started putting the Fluocinonide on my lips as well as my eyes. I didn’t notice it right away but when I applied the steroid cream at night, I’d wake up with inflamed lips that would peel like crazy. At this point, I was realizing this rash wasn’t going away, and I needed to go back to my dermatologist. In the meantime, I started googling “lip rash” and realized it was very likely that I had Perioral Dermatitis, which can be brought on by prolonged steroid use. The worst thing I could have been doing for myself was applying steroids to a rash caused by steroids! Oops! By the time I realized I would have to go and see my dermatologist again, it was near the holidays and there was no way I had time or could get in for a few months. In the meantime, I wanted to find a way to self treat at home. In my mind, I thought something with the consistency of a thick, clear, ointment cream would be perfect to stave me off until I could make an appointment. Something with a thicker texture like Fluocinonide, but with no steroids. My mind went straight to Vaseline, but I didn’t want to put that on my face. I went to Sephora to see what they might have! I actually found something that was perfect right away at the Farmacy display. I must not be the only person who loves Honey Savior because Sephora was completely out of stock and usually is online and in store. I got a sample and ordered it online. I took these progress pictures about a month after using Honey Savior. 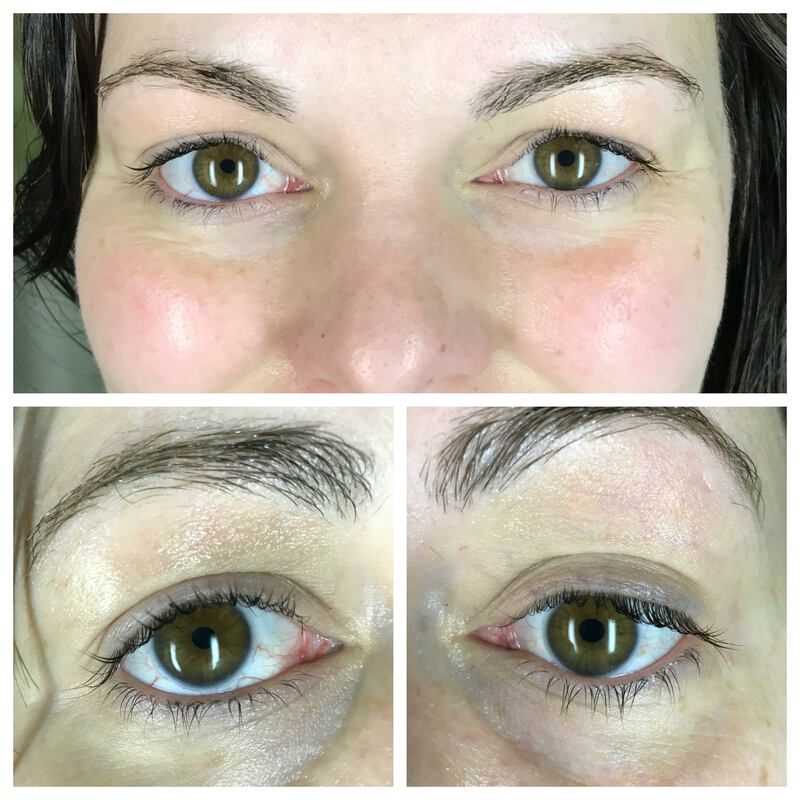 I won’t lie- the results completely blew me away. I started applying this to my eyelids and undereyes in the affected area, and also to my lips where the rash was. I did this morning and night. I noticed dramatic changes within one week. Everything started healing amazingly well. I know prolonged use of steroids can cause thinning of the skin, and that was a huge concern of mine but my skin looks and feels like it’s back to normal. Ricinus Communis (Castor) Seed Oil, Hydroxystearic/Linolenic/Linoleic Polyglycerides, Helianthus Annuus (Sunflower) Seed Oil, Honey Extract, Canola Oil, Propolis Extract, Royal Jelly Extract, Polyhydroxystearic Acid, Caprylic/Capric Triglyceride, Rhus Succedanea Fruit Wax, Rhus Verniciflua Peel Wax, Echinacea Purpurea Root Extract, Hydrogenated Castor Oil, Euphorbia Cerifera (Candelilla) Wax, Helianthus Annuus (Sunflower) Seed Wax, Tocopherol, Ascorbyl Palmitate, Beeswax, Copernicia Cerifera (Carnauba) Wax, Honey, Flavor. What I should have done from the beginning is go straight to my dermatologist when I had an issue, and set a timer on my phone as a reminder to use the ointment as directed, for a full two weeks. I have no doubt that is where all of my issues came from. 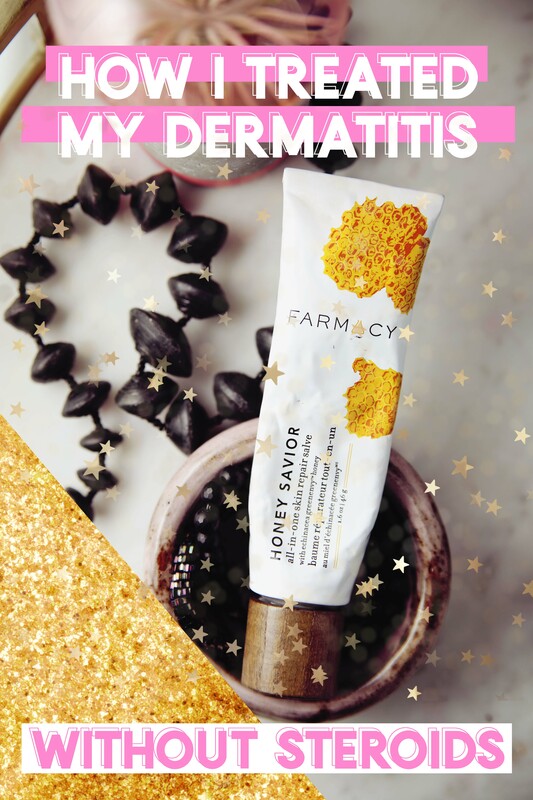 Since I get an annual skin check in May, and I feel I have my dermatitis under control with Honey Savior, I’m going to wait until I need to go in again for my annual skin scan, as long as it continues to work. 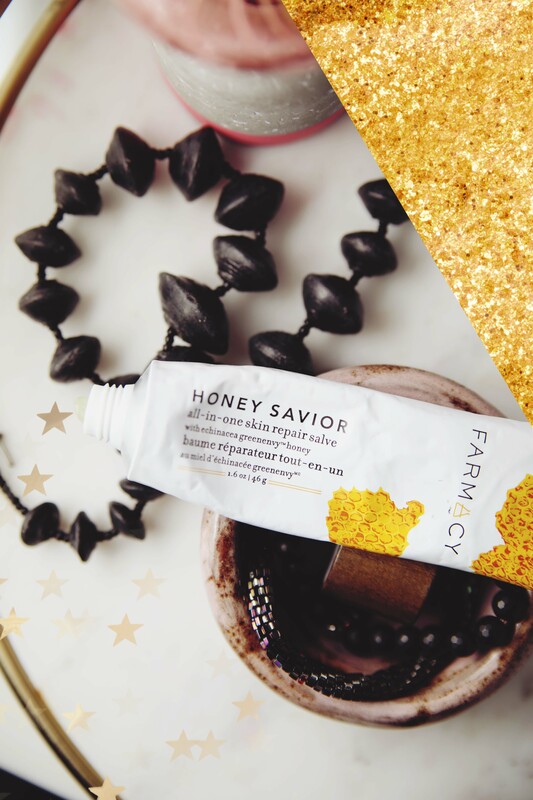 I used Honey Savior religiously morning and night for about two months and I am 90% back to normal. I still have slight issues with lips some days but I continue to use Honey Savior when I have a flare up and it definitely keeps things under control. What was the rest of my skincare routine? While this was all going down, I had to be very careful with my skincare routine. I’ve found that fragrance-free, products made for sensitive skin made a huge difference in my healing journey. A LOT of stuff aggravated my skin but and I had to be very careful to keep moisture in it. When always adding more moisture into the skin, make sure you keep up with toner and exfoliating! I neglected using anything that gave my skin any sensitivities and as a result, now that I am past the dermatitis, I’m having to make up for lost time to get rid of my clogged pores. Use products that won’t migrate that you can spot apply with a cotton ball so they don’t get on the sensitive areas. I’ll link some of my favorites below. What did I wear for makeup during this time? 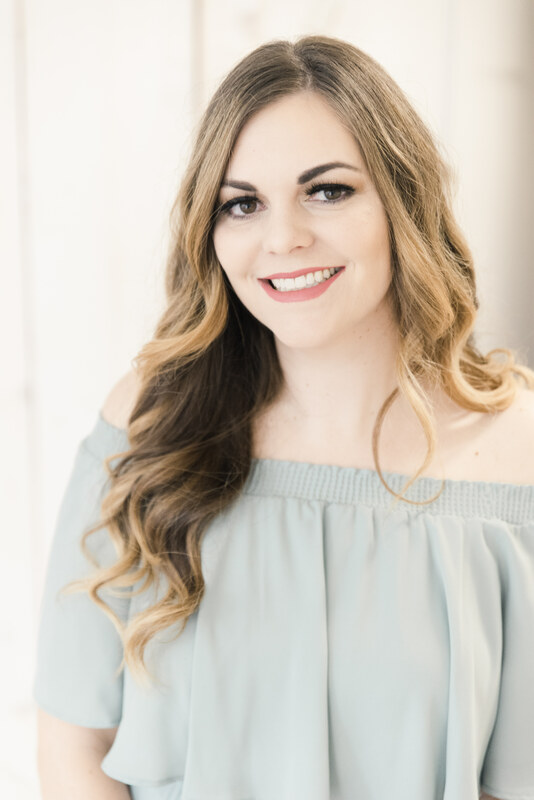 This experience really changed my makeup bag because I could only wear stuff with really high quality ingredients that didn’t aggravate my skin. I went through a lot of trial and error. 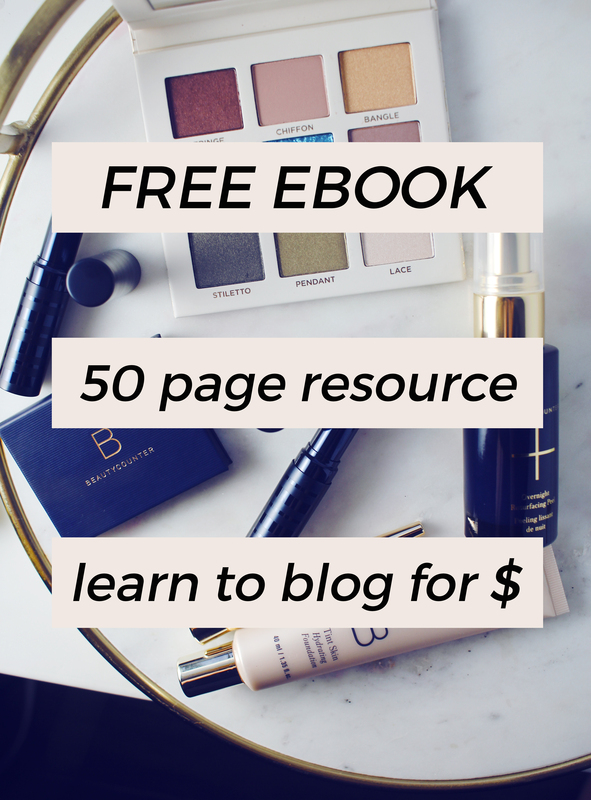 I’ll link to my most used and loved products for sensitive skin below! Note that most of these brands are fragrance free, except Tarte adds a scent to their color cosmetics now. Still, I found that it didn’t aggravate me. I am so happy that my skin issues with dermatitis are better now. That was a long journey to healing I would not want to repeat! If you’ve had dermatitis or perioral dermatitis, what worked for you? I’d love to hear about it in the comments below! I experienced perioral dermatitis a couple years ago and it was horrible. It hurt, burned and made me incredibly self conscious. I ultimately went on a 90-day course of antibiotics. The products that brought me the most relief were from First Aid Beauty. The Ultra Repair Cream was the only thing that calmed my angry skin. I wish you luck in your recovery!! I am so sorry that happened to you! This has been a wild ride with my skin over the past year. I’m so glad it seems to be under control now. I LOVE First Aid Beauty. I’m not surprised their cream helped you. I’m so glad that you are healed up now! I’m so sorry that happened to you! I really hope it works. Please keep me posted! It’s 1 am and I’ve been on a google deep dive after 3 months of dealing with the same thing, and countless prescriptions. I tried to stay away from steroids after I realized they weren’t working, but I also think I may not have given them a long enough chance, as I was afraid about thinning skin. I’ve been using Elidel which has kept it moderate but I’m dying to get the skin under my eye cleared up, it looks horrible. I have no idea what brought this on, so I’m going through allergy testing now. It helps to know that I’m not the only one who is going through this, and I’m going to check out the salve you recommended! Good luck and I hope you get it under control! Proper advice: if you have a skin condition, go see a dermatologist, and follow her/his advice exactly! Schedule a follow-up if things aren’t resolved in the specified time. I haven’t misled anyone. I started my article out saying that you should go to a doctor before following what I did. Because I used the steroid improperly it caused me more problems and I was no longer able to safely use it. It probably would’ve been fine had I done what my dermatologist suggested and follow the directions better. But Honey Savior truly did fix my issue. I never had to go back to the derm. I stand by what I said, including my initial advice of going to the derm and following their advice.